Our Oklahomies at Old Blood Noise Endeavors have made our dreams come true. We have been longtime friends and fans of their sonic imaginations. We are so thrilled to have this opportunity to merge some of our favorite Old Blood Noise sounds into something that we‘ve dreamed up. The Rêver pedal contains two signal blocks. One side allows for a momentary reverse of your signal while the other block contains a modulated reverb that is fed into a delay. A toggle switch allows you to set the order of the blocks. With the reverse at the start and reverb and delay after, the sound tends to feel washier and the reverse is smoother. Switch the reverse to the end of the reverb and delay signal and you have a more pronounced and glitch like reverse effect. And now Rêver 2.0 has added an additional toggle that allows you to keep the reverse latched at your selected blend setting and the momentary button as a forward switch or vice versa. An expression jack up top lets you control the reverse blend with an expression pedal. While this pedal is simple in concept and controls, the variety of sounds are endless. We find it’s best used with guitar, keys or drum machine. Our friend Vizie, here in Brooklyn created the artwork. 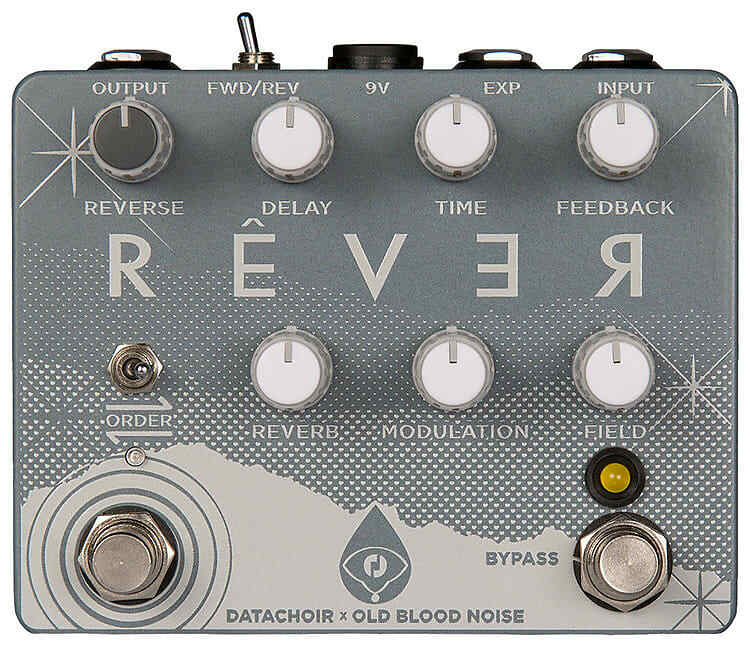 Rêver was programmed and designed by Dan Pechacek and hand built by the dreamboats at Old Blood Noise Endeavors in Norman, OK.
Based on purchase price of $229 at 10% APR for 12 months. Excludes tax and shipping fees, to be calculated at checkout. Rates range from 10-30% APR. Choose from 3, 6, or 12 monthly payments. Select Affirm at checkout to get started.